(NEW YORK)–AI VentureTech, Inc., a technology accelerator and advisory firm focused in the areas of artificial intelligence and automation, announces partnership with AppSwarm, Inc. (OTC:SWRM), a technology company specializing in the accelerated development and publishing of mobile apps, to develop mobile and cloud based applications in the area of artificial intelligence, and automation. AppSwarm and AI VentureTech will explore the development of mobile and cloud based “smart” applications in such areas as artificial intelligence, blockchain logistics, IoT applications, ‘smart home’ and offices, automation, and virtual assistants and chatbots. As smartphones soon become ‘intelligent phones’ a whole new wave of apps built off such platforms as Amazon’s Alexa, or Google Assistant could open the door for new consumer based products and opportunities. 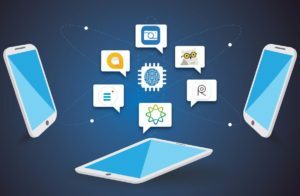 Under the agreement, AI VentueTech will assist AppSwarm team in developing mobile products geared towards assisting companies in streamlining operations, and to build ‘big data’ solutions for enterprises.